Amazon is making a new adaptation of one of the best fantasy books of all time: The Lord Of The Rings. LOTR defined high fantasy as we know it, Tolkien’s work defined the high fantasy genre (How did Tolkien influence literature? check it here). This saga is back, but this time on Prime Video. Amazon Lord of the Rings will have five seasons and will have the biggest Budget in televisión history. Lots of rumors to be answered: will Amazon Lord of The Rings tv series be a reboot? will LOTR characters make their appearance in this tv series? 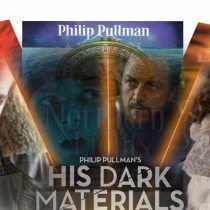 will Peter Jackson be involved in this project? Lord Of The Rings has had previous adaptations, the most notorious being the movie adaptations by Peter Jackson (were these a good movie adaptation? check it here). 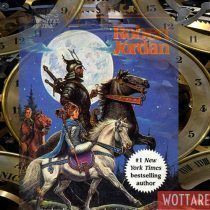 At first, it was thought this tv series was going to be a remake, but Amazon already confirmed this would not be the case, this tv series will be centered on the Second Age. If this news were not exciting enough, Tolkien, the biographical drama film telling the story of J.R.R Tolkien will be released on May 10, 2019. Everything began with this press release published on November 13, 2017. Amazon revealed that they had acquired the global television rights to The Lord of the Rings. This show will be Produced by Amazon Studios in cooperation with the Tolkien Estate and Trust, HarperCollins and New Line Cinema. This upcoming show will be available on Prime Video. Unexplored stories! That is, it is not a reboot, but this tv series will cover a different angle. So, despite being interconnected with the original novels and main characters, it will be a completely different storyline. While at first rumors said that the first season would tell the story of a younger Aragorn, Amazon revealed on Twitter that this storyline will be set in The Second Age ( the Age of Númenor). That is, 3.441 years before LOTR events… as you might have guessed, this implies that practically none of the characters appearing in the original saga will make a cameo in this prequel since… well, they were not even born yet. Not even Gandalf, who even though being one of the Maiar didn’t take his human form until the Third Age. However, there will be a quite relevant character who will make his appearance for sure later in this series. No other than the Maiar corrupted by Melkor, Sauron, since it is in this age when he tried to subjugate the Middle Earth. For those wondering, his defeat against the Last Alliance of Elves and Men put an end to the Second Age. As you see, the Second Age is deeply linked to Sauron’s fate. 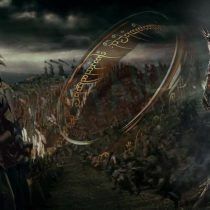 As a result, some the events that will be for sure introduced in this series will be the rise of Sauron, the forging of the Rings of Power and Isildur’s battle against Sauron. Amazon Lord of The Rings will be released in 2021, the more optimistic say the release date will be in 2020. This Project is already known as the biggest budget in television history, being more than 1$ billion dollars. Cast in Amazon’s Lord of the Rings? There is still no info regarding the casting. Also, for those wondering if Peter Jackson will be involved in this project: No. 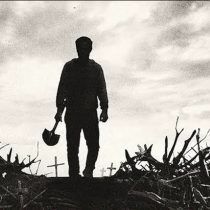 The director and producer confirmed he would not be involved in the project. While Peter Jackson’s films were filmed in New Zealand, Amazon LOTR will be filmed in Scotland instead. This country has some of its locations featured in Avengers: Infinity War. Filming will start this very same year. How has been this new Tv series received by the fans? Such news as is a tv series based on Tolkien’s Word was received by the fans with great excitement. 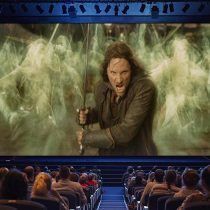 When this news hit the Internet the reactions by fans on all Social Media sites were overwhelmingly positive, they want to visit the Middle-Earth once more. What about you Wottareaders? are you excited about this new Amazon Lord of The Rings TV series?